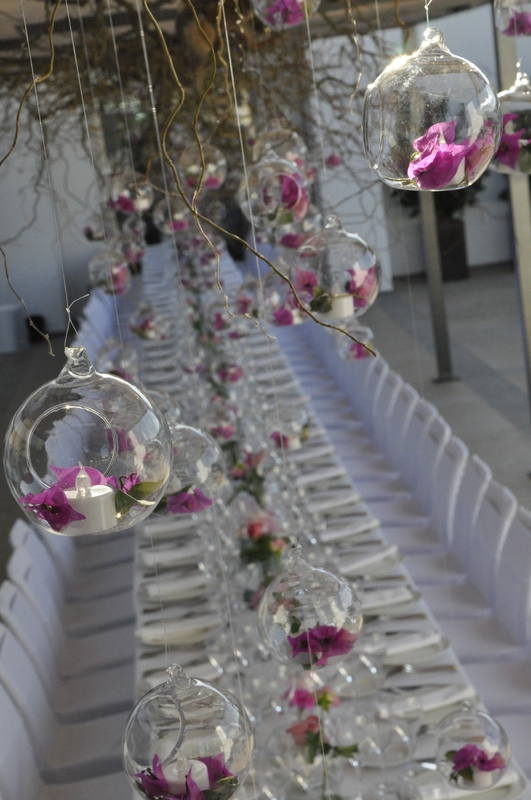 Global cosmetics take their gala dinner abroad to the sumptuous Aquas De Ibiza hotel. This location was chosen for its contemporary appeal and sleek design and enabled their staff to relax and unwind in a beautiful setting. 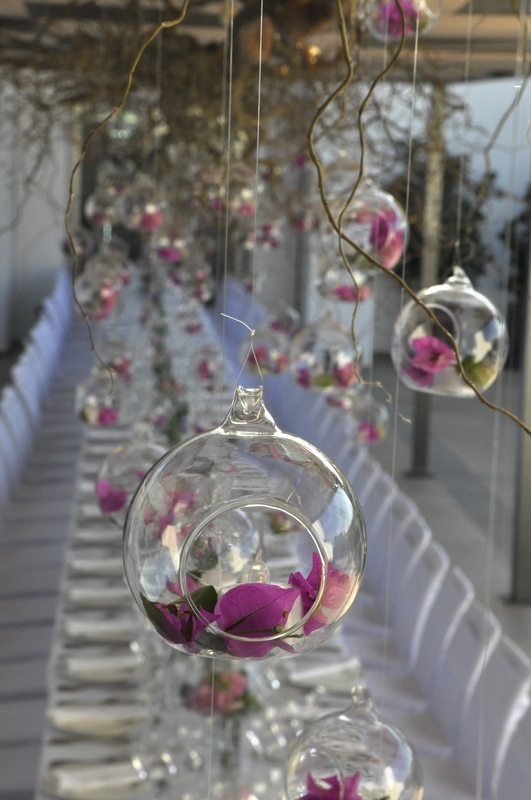 We were asked to produce something truly special in order to WOW the purveyors of luxury and perfection. 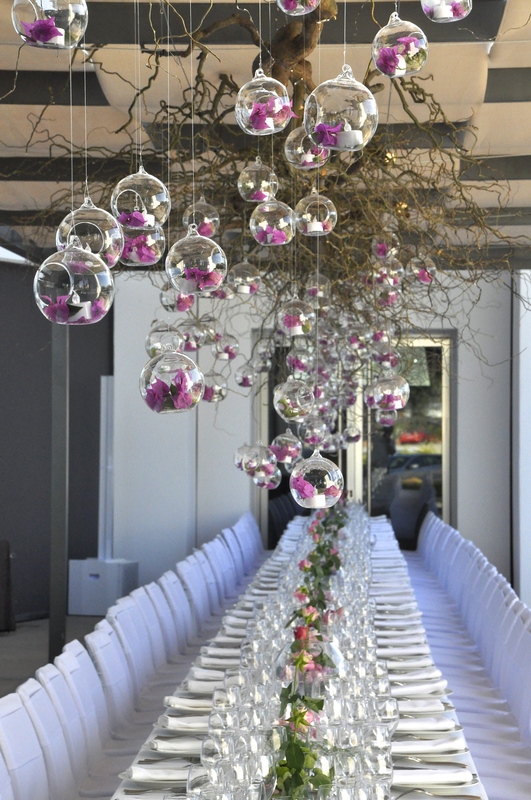 We really had our work cut out and chose to use elegant glass baubles and native bougainvillea flowers to create a canopy of colour above the delegates heads. For an added hit of luxury, we used 24crt gold leaf to finish the ends of each of the branches.